A 41-year-old man was killed in a recent New England snowmobile accident. According to CBS Boston, he was riding through a park in Auburn with his 9-year-old son when he slammed into a rock. The young boy survived. The father was not so lucky. “The throttle ended up getting stuck, and they hit a rock and Keith threw himself and Aden off of the snowmobile and Keith ended up landing chest down on a boulder,” said the victim’s girlfriend. Our Massachusetts snowmobile accident attorneys understand that there are roughly 200 people killed and another 15,000 injured each and every year in the U.S. because of snowmobile accidents. Snowmobiles of today can weigh in excess of 600 pounds and travel at speeds exceeding 90 miles per hour. Riders have to understand the weight and the power they’re dealing with and they have to be responsible drivers to help to reduce the risk of accident. Just like motor-vehicle accidents, multisystem trauma happens frequently with head injury the leading cause of death. According to officials, the snowmobile in the recent New England accident went more than 70 feet into the air before coming down and landing in a brook. The young boy is recovering from a broken leg. Reports indicate that both the father and the son were wearing helmets when the accident happened. The father was familiar with the trail, but was taking his sons on their first snowmobile adventure through the area. 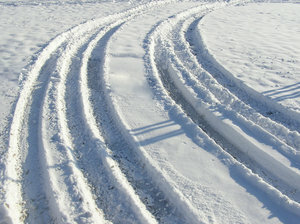 A snowmobile is only as safe as the person operating it. The key to safe operation is knowing your snowmobile, using good judgment and courtesy. There are a number of hazards out there and you can be the most experienced rider, but without exercising safe driving habits, accidents can happen. Make sure you keep safety as a number one priority. In other cases, a trail obstruction or hazardous condition on a property can cause an accident. Such situations should always be reviewed by an experienced injury attorney. First off, you want to make sure that your snowmobile is topnotch and is in good working order before the winter season. Familiarize yourself with the snowmobile you are driving by reading the owner’s manual. Wear sensible, protective clothing designed for snowmobiling. Whenever you hop on, make sure you’re wearing the proper safety equipment. Make sure you’re wearing a helmet, goggles, a face shield and the proper clothing. You want to make sure your body is protected from ice chips, flying stones, twigs or flying debris. You also want to be familiar with the area you’re riding and never ride alone. Riding with a buddy is your best bet in making sure you’re safe should anything happen to you. If you’re riding in the early morning or as the sun sets, make sure you have the proper lighting on your vehicle. And don’t forget that drowning is one cause of snowmobile fatalities. When you are not familiar with the thickness of the ice or water currents, you want to be sure to avoid these areas.